12 Jan 2016: Every day produces something new to marvel at and today was no exception. 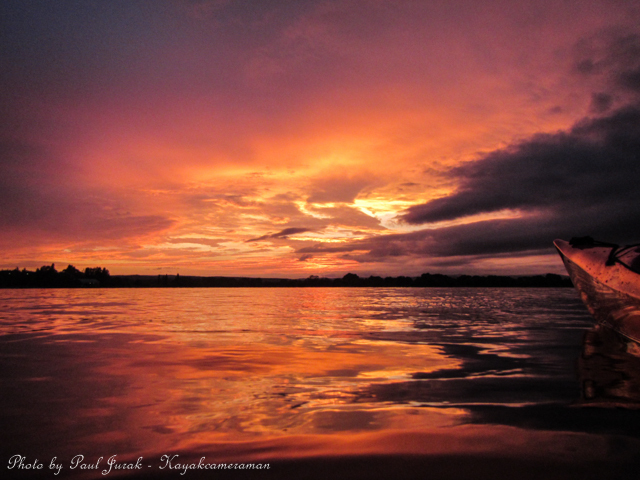 We had vivid early morning reflections that developed into one of the most beautiful sunrises I have seen for some time. Early on I had the entire lake all to myself but it wasn’t long before the activity ramped up with dragon boaters, kayakers and scullers all enjoying the calm and warm conditions. 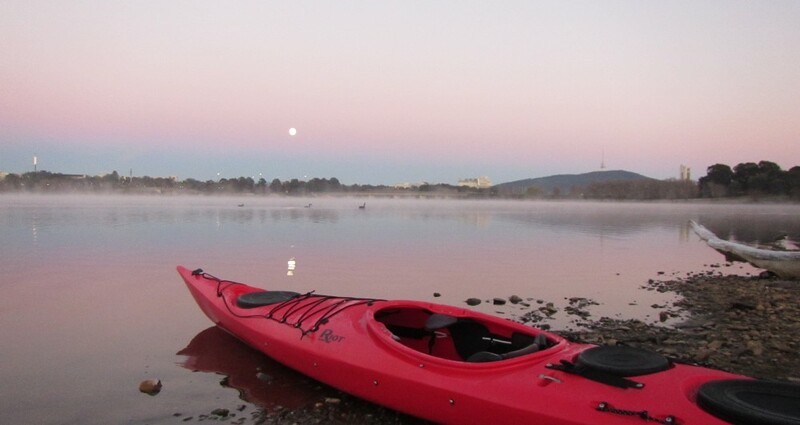 9 March 2015: It was a carnival atmosphere on LBG this morning to celebrate Canberra Day 2015. 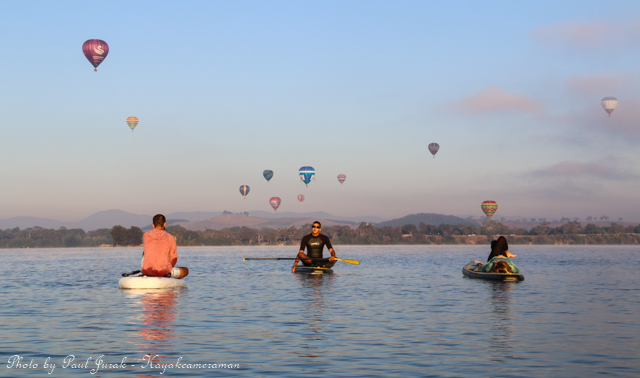 A record number of balloons launched from the Lawns of Old Parliament House and adorned the Canberra skyline while SUP riders, fellow kayakers and local scullers enjoyed the colourful spectacle from the water. Even the local birdlife joined in on the parade! 12 Feb 2015: Early pink and mauve tones dressed the morning sky and transformed with stunning colour and cloud combinations. This Canberra lightshow was completed with vivid gold’s and blues leaving one in total awe. 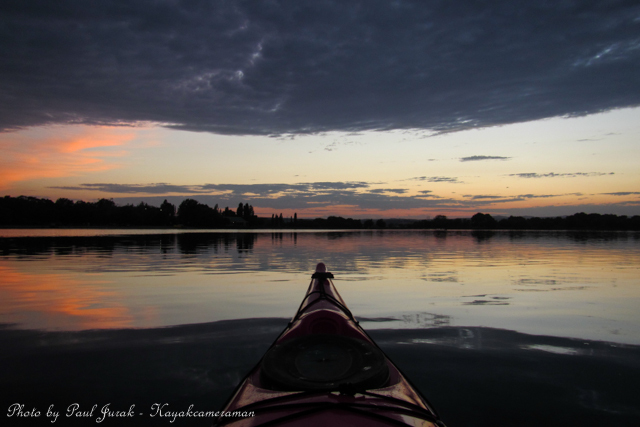 It felt like I was paddling in a living painting. What a memorable 2014. 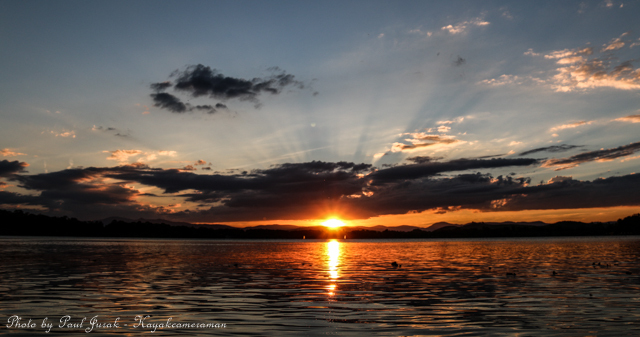 I’ve continued to be mesmerised by the beauty of Canberra with each and every season offering a spectacle of colour. I have peacefully paddled amongst soft pastels tones, navigated my way through pea soup fog and have been wowed by our -8 wintery conditions as I glide my way on glassy, often near frozen waters. Each and every sunrise is different and I am continually amazed by this natural beauty especially the golden sunrises which are special to our inland city. Through my paddling experiences I have been fortunate to meet fellow paddlers, friends and others who have become influential in my life. 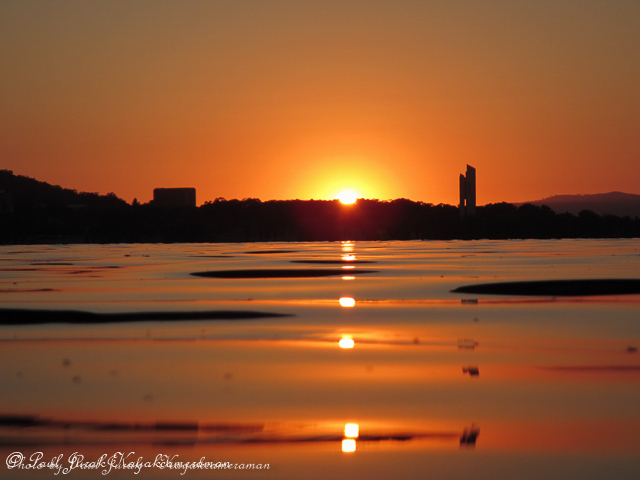 Our common link is our love for Canberra and all that it offers. I have found it extremely hard to put a selection of shots together as there have been so many memorable moments this year. I hope you enjoy the photos as much as I have enjoyed capturing and sharing them. I wish everyone a very merry Christmas and I hope that you have an enjoyable festive season. Thank you for your ongoing support and I look forward to seeing and hearing from you in the New Year. Sunday 30 November 2014: Words cannot express the sunrise this morning. There was so much variety with the scenery transitioning from what looked like a pot of molten gold to a perfect rainbow arcing over the city scape. The clouds formations were amazing, often turbulent and forever changing. 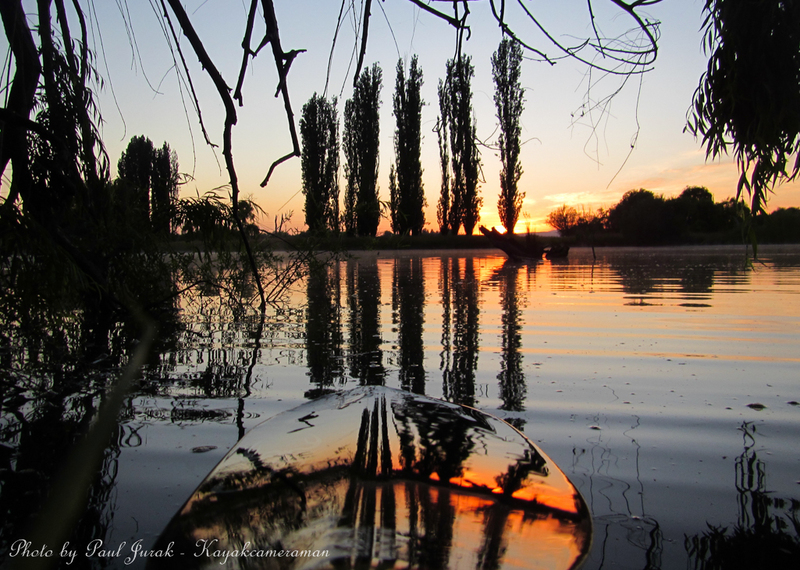 29 Nov 2014: Today’s paddle started with an electric sunrise and sent me on a day of discovery. The colour of spring was reflected in the underwater world with fuchsia tangled tree roots glowing below the water’s surface. Do you want a new and fun way to advertise your business? ‘Chilli Space’ is now up and running and will promote your business by displaying your business card on the nose of the red chilli and include your photo in my daily post and blog.